81% of members who purchased the Agility 2-Piece Outfit recommend it. There is absolutely no chest support considering it is a "sports" bra. The circumference of the bra fits my band size, but the weird long length of the bra sits oddly and is uncomfortable. Also, when worn how the bra sits on me, bit straps/back feel too long, and the top of it is too loose, not supporting or confining my chest well at all. The ONLY thing I like about this bra is how ventilated it is. I imagine it would be very cool to wear in summer...too bad anything that would make me sweat would probably be too much "movement" for this bra. 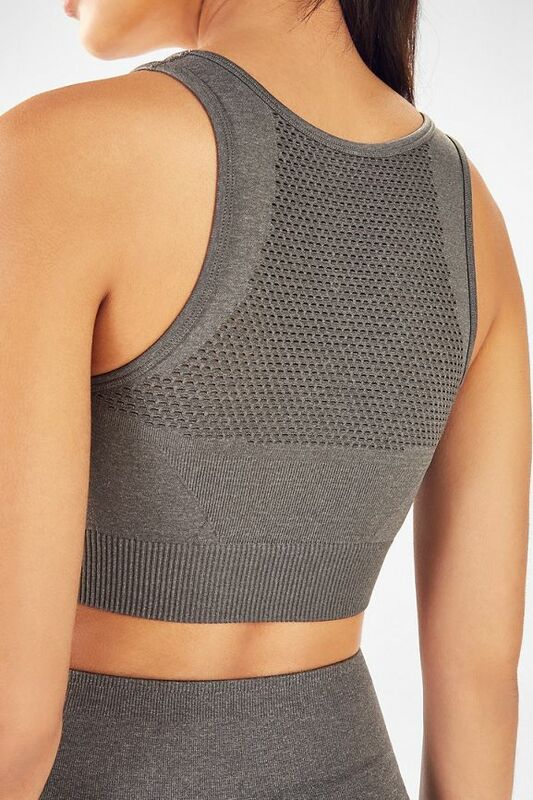 This is a nice little lounge bra - it wouldn't be enough support for me to wear to the gym but is nice for lounging at home. I am a S in the high impact bras and XS in the seamless. I ordered this in an XS and it's a tiny bit on the loose side. Very stretchy. SO comfy! I purchased these with the pants and I live in them!! !